Riverstone is a popular gated community in North Naples consisting of a variety of single family home options. Developed by GL homes beginning in 2011, this community offers over 22 different home designs ranging from roughly 1,800-4,700 sq.ft. under air, and 805 homes in total. Riverstone features 286 acres of preserves and 86 acres of lakes with most homesites offering a preserve and/or lake view. Riverstone is a great family neighborhood with low fees, excellent amenities and a desirable location. 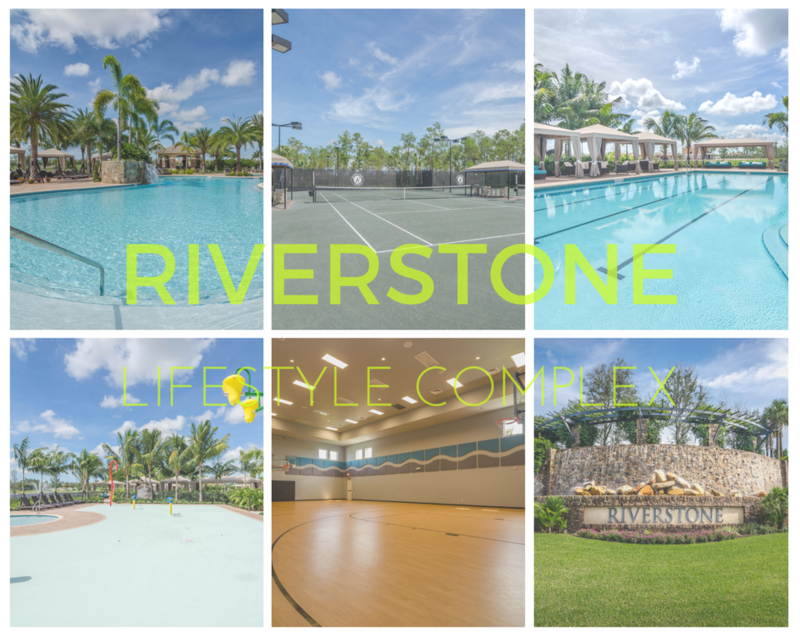 The lifestyle complex at Riverstone, spread across 6 acres, offers residents a beautiful 13,000 sq.ft. clubhouse with an indoor sports court, fully equipped fitness center, locker rooms, social room, multi-purpose studio, arts & crafts room, game room and a child-themed play room. Outside activities include a resort style pool, separate lap pool, spa, kids water play area with wading pool, cabanas on the pool deck, 5 Har-Tru tennis courts, tot lot, pavilion areas, outdoor basketball court, and an open play field for soccer/baseball. Riverstone also includes a 24 hour manned gate house. Curious to know what the real estate values are at Riverstone? Check out the recently sold homes.